Posted on February 2, 2019 at 4:51 pm. For months, Financial Insight had been pursuing an exclusive interview with the CEO of ZCCM IH. The investment group of companies had come under our radar following notable achievements following Dr Pius Kasolo’s ascension to the mining investment group’s throne on 1 October 2014. A review of the last 10 financial reports tells a story of an investment company that had seen good days and bad ones. For example, many will not remember that in their 2010 annual report, the company posted turnover of K116 million with an operating profit of K42 million. Its profit after tax for that year was K436 million all thanks to astute investments it had made in 12 investee companies that were bustling in a global commodity prices boom for that period. Another example is its sale of 50% of Kariba minerals to Government. The asset then found itself being run by Gemfields who later in 2018 opted out of the asset and selling it back to ZCCM IH. Interesting enough, the company’s market cap had actually plummeted with the share price for the year being K10 (K27 in the previous year). 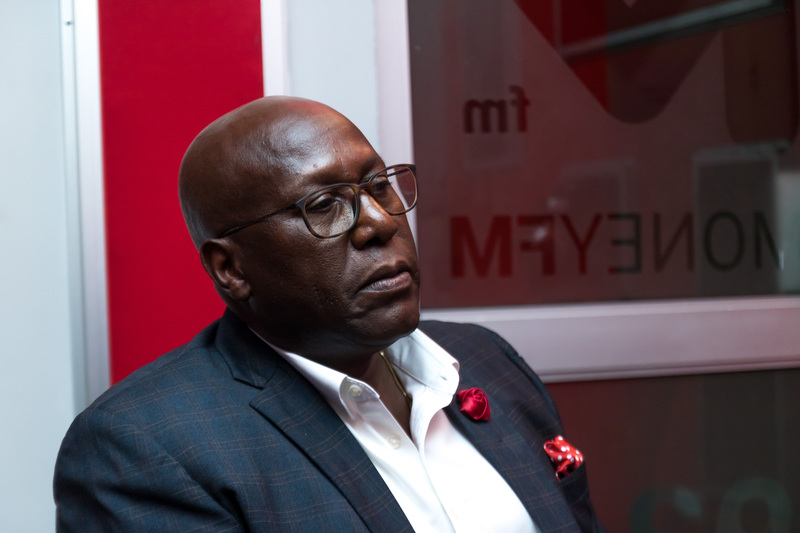 Dr Kasolo took over the reins of power in what he jokingly described as “torture” to his daughter at that the time of his appointment in an interview he gave to Financial Insight. The year 2014 saw the company post a record Operating loss of K 2,179 million. This was the period that saw ZCCM IH not pay a dividend to shareholders. Ironically, the company’s share price stood at K40 with a market capitalisation of K6,431 million. This was a clearly indication that the share price on the stock exchange was not in tandem with the happenings on the financial statements. As if that was not enough, Dr Kasolo began navigating his company in a time when global growth stood at 3.1% in December 2015 and the GDP for South Saharan African countries had been revised downwards from 5% to 3.5%. Worst still the Copper price had moved from US$6,289.5 in December 2015 to US$ 4,701 the following year posting a record 25.3% decline. His tenure saw him inherit one of the most problematic assets in the group of company’s portfolio. On paper, Ndola Lime was an asset with much promise. Money was getting thrown at the asset and when Dr Kasolo took over, an additional loan of K125 million (US$ 16.5 million) for the Ndola Lime recapitalisation project was approved and granted. At the time, the a kiln apty known as VK-2 had experienced a number of delays although the management team at the time had targeted commissioning it in March of 2016. The ZCCM IH portfolio stood at 17 investee companies of which 4 were owned 100%. In his first annual report as CEO, the Zambian economy recorded annual growth of 3.6% in 2015 compared to 4.9% recorded in 2014. The decrease in economic activity was driven by adverse weather conditions, which led to a decline in output in the agriculture sector and power generation which affected productivity in key sectors of the economy. In addition, the increase in fuel prices and the sharp depreciation of the Zambian Kwacha raised input costs, production costs and transportation cost. In short, Pius’ tenure could not get any worse. With Copper production in Zambia estimated to have risen marginally by 0.5% at 711,515 tonnes (2014: 708,000 tonnes), it was clear that the current investment strategy had to be looked into. That is why despite the power challenges and falling copper prices on the international market there was light at the end of the tunnel all thanks to the increase in copper production that was attributed to commencement of production at Kalumbila Mine, owned by First Quantum Minerals, in February 2015. In his second year as CEO, Pius saw a turnover of K199 million and an Operating loss K858 million. With the share price now at K40 with a market capitalisation of K6, 431 million, the signals of a return to profitability began to be noted. However, the prodigal child in Ndola Lime still continued making demands for capital and the management team released an additional loan of K28.7 million (US$ 2.82 million) towards the VK-2 which was still undergoing hot commissioning. However, this time the tone around their prodigal child was beginning to change as the annual report for 2016 gave the first word on restructuring operations at the plant. In addition, ZCCM IH saw itself diversify away from mining related activities by entering into the real estate industry as part of their diversification program. Diversification did not end at real estate, the management team also made a big announcement on the commissioning of a 150MW plant at Maamba despite Copper prices still lurking weakly in the $4710 range. In his 2017 annual report, Pius’ team reported a further decline in the their top line all thanks to the challenges they were facing at Ndola lime which they owned 100% and contaminated their books through impairments and the low sales of lime products that came as a result. With turnover now standing at K95 million, the Operating Profit came in at K848 million with a profit after tax of K729 million. The subsidiaries were beginning to pay dividends. However, the share price began a south ward movement that saw it plummet to K38 market with a market capitalisation of K6,110 million. As a result, ZCCM IH return to the helm as being the highest dividend payer in the IDC portfolio. With clear signals of a turnaround coming to ZCCM IH despite GDP growth targets 5% being missed and coming in at 3%, a new Board Chairman in Eric Silwamba SC was appointed on 6 March 2018. He came it at a time when Copper was now in the $5500 range with echoes of Ndola lime still undergoing hot commissioning. In his last annual report, Pius’ turnover for stood at K61 million. Again, this was due low sales at Ndola Lime. Operating profit stood at K 47 million which was a 95% reduction due to loss making Ndola lime and an impairment on Konkola copper mines performance. However, profit after tax attributed to their portfolio of investee companies ensure that K843 million would what the company would close of the 2018 income statement with. The share price at the close of the 2018 financial year stood at K38 market with a market capitalisation of K6,110 million. It would appear the glory days of high copper prices we beginning to return. For his final annual report, Copper price increased 20% to end 2016 at $6,839. As CEO it was clear the Pius’ Team sought diversification. “We have chosen to transition the Company away from the traditional dependence on dividend income and have identified more forward-looking strategies which will improve revenue generation with predictability. These strategies will not only improve the Company’s cash position but will also facilitate organic growth as the Company will be better able to finance its investment projects.” According to the Board Chairman in their 2018 annual report. With two dividends paid to IDC since taking over the job, Dr Kasolo walks away knowing that the focus is clear for the investment company. In his last interview as CEO with founder of Financial Insight he indicated that he put together a formidable team, describing himself as the “Mourinho” of the investment company. Just like Mourinho exiting a big role analogous to Manchester united in the Zambian investment space, he no doubt inspired a turnaround at ZCCM IH whose fruits will no doubt be enjoyed by their next CEO.